You're ready for a change! Leaving University and taking the first step in your career is a big leap from where you are now. It forms one of the biggest decisions you will make in your working life and we understand how you need to be reassured that you are making the right choice.  BWB are a growing business ready to discover people who can bring us new perspectives, a positive attitude and great ideas. We're a team of highly skilled professionals ready to support you through the early stages of your career. Here you can begin to build the foundations to your journey, in your chosen profession with us. We're proud of our home grown talent and our friendly culture and we'd like to keep building this. We welcome interest from talented and ambitious graduates who are looking to gain experience across our various locations and core disciplines and play to their strengths. What does this mean to you? Clear Career PathsA clear career path for you to progress through and the opportunity to work alongside some of the most talented and respected engineers and consultants in the industry. Mentoring for ChartershipIndependent mentoring support through to chartership. Peer Group NetworkingOpportunities to network and share experiences with like-minded graduates. BWB AcademyAccess to our bespoke BWB Academy Programme which will develop you to become a complete professional. Structured InductionA supportive induction programme that starts from day one. Competitive Rewards & BenefitsWe strive to offer a reward package that will appeal to all of our people, regardless of level and generation. Structured Appraisals & LogsA project log book to capture your learning in, together with regular one-to-ones and structured appraisals with your manager will help unlock your potential. Challenging Work ExperienceMeaningful work experience and responsibility. Trainees that excel can go on to manage projects within 18 months. Our graduate assessment route is designed to pick out the best talent with the best fit for BWB. We assess people against a broad range of criteria that is challenging, fair and gives you a chance to show us what you can bring. It also supports you in confirming that we are the right choice for your first career move. To apply you must have at least a 2:2 degree; at least three A levels at grade C or above or equivalent; and at least 5 GCSE's at grade C or above including English and B in Maths.